At its special media event titled “Gather Round” held at the newly-constructed Steve Jobs Theater inside the Apple Park in Cupertino, California, Apple has today officially unveiled its 2018 flagship iPhones along side the Apple Watch Series 4 called the ‘iPhone Xs’ and ‘iPhone Xs Max’, with the Max model featuring a huge 6.5-inch Super Retina display. 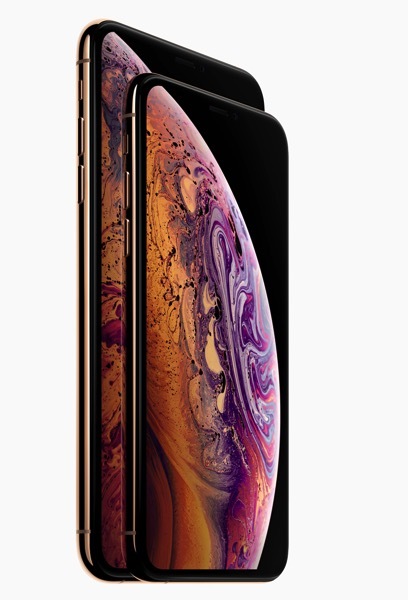 In addition to featuring Super Retina displays, both the 5.8-inch iPhone Xs and 6.5-inch iPhone Xs Max sport the all-new 7-nanometer A12 Bionic chip with next-generation Neural Engine, a faster and more advanced dual camera system, faster Face ID, wider stereo sound, and a beautiful new gold finish. The two flagship devices also bring Dual SIM support to the iPhone for the first time ever. Here’s a quick rundown of everything you need to know about the iPhone Xs and iPhone Xs Max. 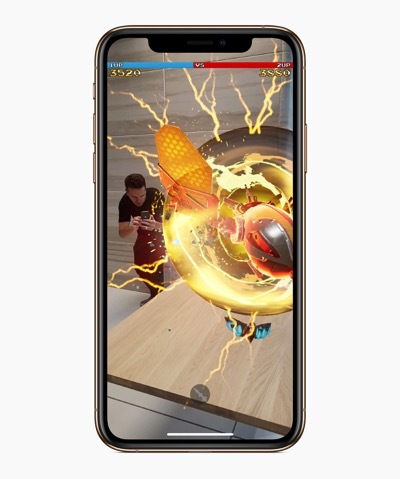 The Super Retina displays on the iPhone Xs and iPhone Xs Max feature a custom OLED design with support for Dolby Vision and HDR10 and have iOS system-wide color management for the “best color accuracy in the industry”. According to Apple, the new iPhones offer a million-to-one contrast ratio with true blacks while showing 60% greater dynamic range in HDR photos. A surgical grade stainless steel band now in gold joins finishes in silver and space gray. Wider stereo playback creates a more immersive soundstage. The front and back glass design features the most durable glass ever in a smartphone with improved scratch resistance, while the glass back enables faster wireless charging. 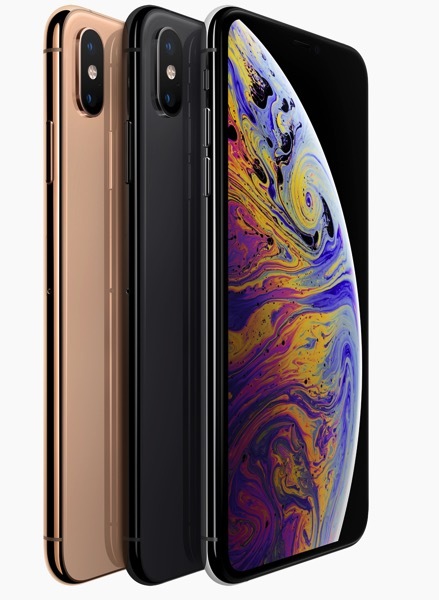 iPhone Xs and iPhone Xs Max reach a new level of splash and water resistance of IP68 for up to 2 meters for 30 minutes. The Apple-designed A12 Bionic features the first 7-nanometer chip ever in a smartphone with next-generation Neural Engine. The next-generation Neural Engine is built for advanced machine learning in everything from photography to augmented reality. A new eight-core design allows it to complete up to 5 trillion operations per second compared to 600 billion in A11 Bionic. Apple says that Core ML running on the A12 Bionic Neural Engine is up to nine times faster than on A11 Bionic. The new 12-megapixel dual camera system features dual optical image stabilization with 2x optical zoom, while a new sensor is twice as fast. Advanced depth segmentation in Portrait mode enables more sophisticated portraits with professional-level bokeh, whereas new Depth Control allows users to dynamically adjust the depth of field in the Photos app both in real-time preview. Face ID, which ccording to Apple is the most secure facial authentication system ever in a smartphone, is now even faster. Both devices also feature Gigabit-class LTE for even faster download speeds and Dual SIM through the use of a nano-SIM and digital eSIM. 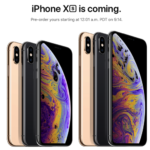 The iPhone Xs and iPhone Xs Max will be available in 64GB, 256GB and 512GB capacity models in space gray, silver and a new gold finish with pre-orders beginning Friday, September 14 and in stores beginning Friday, September 21. Below is official Canadian pricing for the new flagship iPhones.